Root canal treatments, or endodontic treatments, are used to treat the inside of a damaged tooth. This type of procedure is used to treat dental problems caused by infections inside the mouth that have invaded and affected the tooth. Our dentists in Romania can help you smile again if you are suffering from pain caused by root canal problems. Endodontic treatments become necessary when the pulp of the tooth (the blood or nerve supply) becomes infected due to decay or injury. Pain usually appears when the situation worsens and many patients schedule a dentist appointment only when the tooth is badly affected. Pain is usually a key indicator that the tooth is badly damaged. Another indicator can be a darkening of the tooth. If left untreated, root canal problems can lead to abscess. During an endodontic treatment, the infected inside of the tooth (the pulp) needs to be cleaned and disinfected. 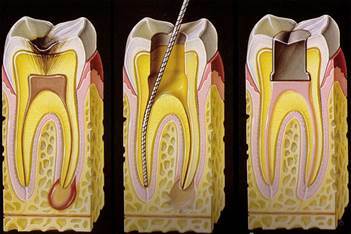 The root canal is then filled with a filling, or crown. If the tooth can no longer be saved it will be extracted. Local anaesthetics are administered before root canal treatments and the procedure is not a painful one. Depending on the condition of the infected tooth or teeth, several visits to the dentist may be needed. The first step is to clean the tooth and drain any abscesses. Your dentist may use a temporary filling at first and then replace it with a permanent one during another visit, after he or she can confirm that the infection has cleared. Our dentists in Romania provide low cost dentistry services that include professional endodontic treatments. Root canal problems can be caused by a number of factors, including tooth decay that occurs over time, trauma to a tooth, faulty crowns or fillings and repeated dental procedures. Recovery may be necessary after a root canal treatment and the patient may have to avoid eating or biting certain foods, avoid sugary foods and smoking. He will also have to maintain a good oral hygiene. 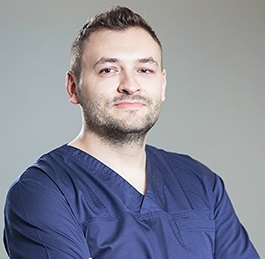 Our Romanian dentists can help you prevent and treat any kind of dental problems. 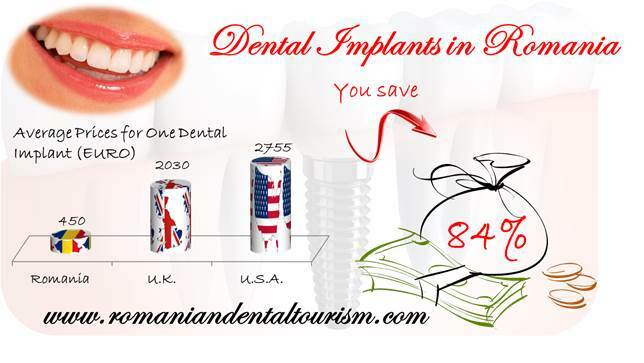 If you are interested in one of our dental tourism packages in Romania, please contact our dentists. We can provide detailed information about the procedure and offer you a personalised dental treatment plan in Romania.